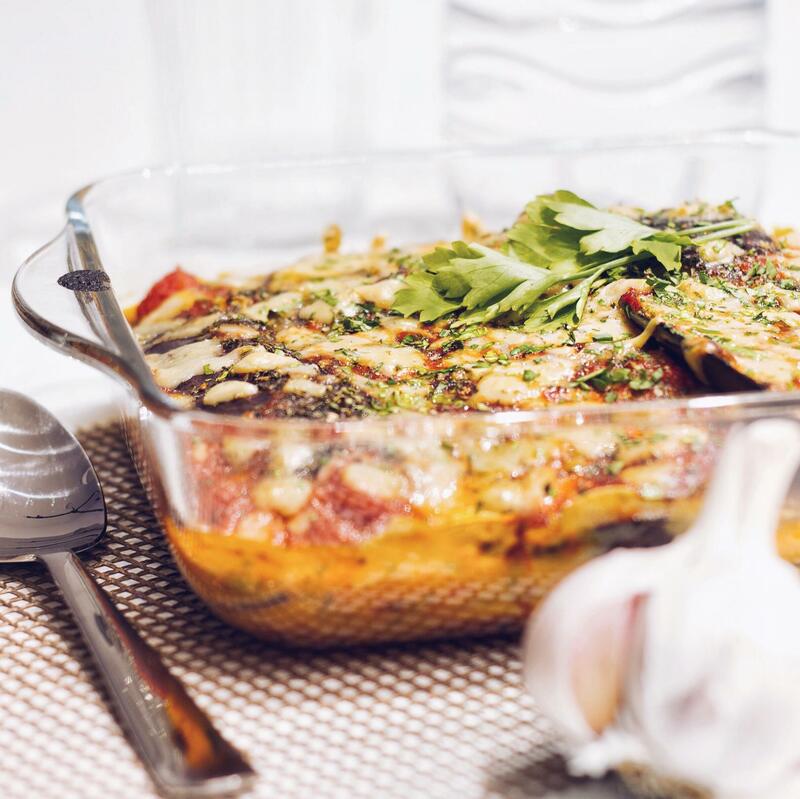 Yes, it’s finally time – here is my much requested vegan Parmigiana recipe! I tried out this recipe for the first time about a week ago – simply because I had bought a load of eggplants on the market a few days before and I needed to use them up. What better use than a Parmigiana for them? Before I went vegan I was in a committed relationship with Italian food – yet I have never had an actual Parmigiana before, so I cannot compare it to a non-vegan version, but I can tell you: This vegan version is the bomb! 1. Wash the eggplants and cup them lengthwise into slices about 5mm thick. 2. Heat a large pan and grill the eggplant slices in there for about half a minute on both sides. Ensure not to use any oil or liquid for this as the slices are supposed to grill dry. 3. Use an oven proof dish and add a layer of the tomato sauce first, then a layer of eggplant slices, then salt, vegan cheese and basil. Repeat. 4. End with a layer of tomato sauce, topped with cheese. If you don’t want to go gluten free, feel free to add some breadcrumbs to the top for an extra crunch. 5. Bake everything for about 25 minutes at 190 degrees (Celcius). Enjoy the scent when it comes out of the oven – it is pure heaven!